Yahoo! Finance/Thinkstock - Since it's next to impossible to discharge student loan debt in bankruptcy, millions of students are left drowning in private debt they have no hopes of ever paying off. With the cost of college continuing to rise and the economy still stagnating, the student debt burden has swollen to a record $1 trillion. Mark Kantrowitz, publisher of Fastweb.com and FinAid.org, believes that one of the main culprits behind the student debt crisis is the private student loan sector. "Students are following their dreams and don't pay attention to their debt," Kantrowitz says. "They sign whatever piece of paper is put in front of them, figuring they'll pay it back when they graduate." Unlike federal loans, private loans usually come with variable interest rates that seem low at first glance but can skyrocket by 5 points over the loan's lifetime. They also offer far fewer options for cash-strapped graduates struggling with payments, such as deferment, lengthy forbearance periods and income-based relief. And since it's next to impossible to discharge student loan debt in bankruptcy, millions of students are left drowning in private debt they have no hopes of ever paying off. Last year, the Consumer Financial Protection Bureau (CFPB) put out a call for consumers to share their student loan stories on its message board and get the ball rolling on lending reform. But for these nine commenters, it may already be too little, too late. This is part of our series on The Best Colleges In America. "I used to work in the entertainment industry but have been unemployed for a few years and I needed to desperately update my skillset if I could hope to find a job in the highly competitive field of games and animation. Searching for various schools, I kept seeing advertisements for the Art Institute and talked with one of their recruiters and was told wonderful stories about how the school was accredited, how students went on to successful careers, etc. I told them I wanted to get a degree in Game Art and Design but was told I could but needed to take the Graphic Design course first. I didn't think much of it at first, but I agreed. I was dismayed at the quality of the classes...(Now) I'm stuck with over $100,000 dollars in debt, which qualifies as theft as I received nothing substantive in return. I actually had to sign up for other courses outside the school in order to successfully complete assignments! Courses that offered REAL *VIDEO* Instruction at a fraction of the cost ($35 dollars per month as opposed to $2000+ dollars!) and by a company that trains people in the industry. It's now 8 months since loans have run out and I couldn't complete my degree and I'm still looking for work." This comment by Steve Macintyre originally appeared in a thread on the CFPB's message board. "I admit I did not understand capitalized interest until recently. I consolidated my loans in 1997 when the interest rate was 8 percent. My student loan office at Tulane University led me to believe that I 'had' to consolidate and Sallie Mae was the only option offered to me. I have repaid them over $61,000 (over 14 years). I think I should be done now, but according to Sallie Mae I still owe $25,000. A Sallie Mae employee directed me to write the legal department and ask to have my loan written off and to appeal if they denied. They denied, stating that federal government regulation prevents them from writing off the balance of the loan. When I talked to the Sallie Mae employee and said I was confused about why on most months more of my payment goes to interest than principal... she chuckled and said 'We certainly don't go out of our way to put that in big bright red letters across the front page'." This comment by socialworkmary originally appeared in a thread on the CFPB's message board. "I'm not really sure what to do at this point. I am a victim of a for-profit school that definitely seemed in cohorts with Sallie Mae. My original loan was $80,000 but has grown to $135,000 and all I can pay is interest only, which is already $700 a month. It's ridiculous how sad this market has become. No one offers consolidation anymore or those that do will pin you at a ridiculous interest rate. I am definitely in this for life... It looks like I will be stuck living in a low-rate apartment for the rest of my life and drive a 15-year-old car. I'm at least glad I found a really good job in the industry I was hoping for, but these loans are a real burden. Just thinking about them hurts my overall outcome each and every day." This comment by Dgoteck originally appeared in a thread on the CFPB's message board. "I have three degrees, including an MA and a JD. When I graduated from law school in '99 all of the offers – with the exception of those from the upper echelon firms that essentially own you – were for little money, leaving next to nothing for living expenses. Now I am making a decent living and can pay my loans under the (Income-based repayment) program, but repayment is a distant dream. As a result, I am unable to assist my son with his education expenses (thereby effectively making the debt trans-generational), or buy a home, start my own practice, etc. As a macro-economic problem, those of us saddled with this debt are unable to fully participate in the economy." This comment by Michael Speck originally appeared in a thread on the CFPB's message board. They cited that my (notice to them) was over 60 days late and the loan was in repayment and refused to negotiate. Then, when I called/wrote/emailed NCT to negotiate, they sent my loan to another subsidiary— their collection agency MRS. These companies are working together and when students are full-time in school, they bombard them with calls and deadlines and capitalize by taking punitive measures such as outlined above, from which they no doubt profit. ...I believe that a lot of students have had loans placed at (a) collection agency while they are full-time in school. 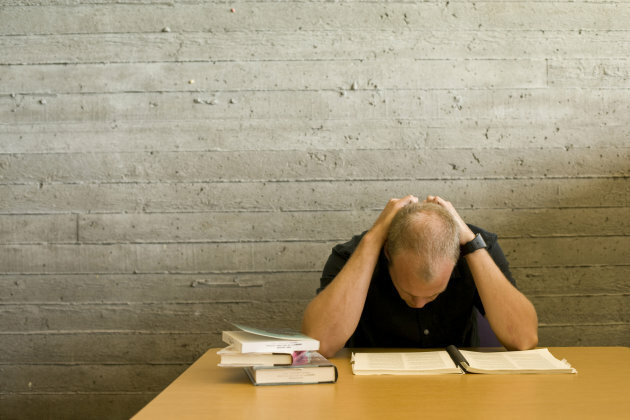 This should be amended to allow students wiggle room to complete their studies stress-free. If students graduate, find employment and refuse to pay, only then collections should be appropriate." This comment by KDF11 originally appeared in a thread on the CFPB's message board. "I am the first in my family to go to college. Without family support, I self-financed three college degrees (BA, MA and PhD) at state colleges between 1988 and 2005 using Pell Grants, multiple jobs, scholarships and $90,000 in subsidized and unsubsidized student loans. My loans have been bought and sold so many times it is impossible to keep track of changes in rates, balances and terms of service since I have never had to resign any promissory notes. Eventually, I was able to consolidate the loans with Sallie Mae at a 7% interest rate. My loan payments have ranged from $400-600/mo. depending on the loan provider and lowest possible payment option available. My student loan situation has nothing to do with a lack of financial responsibility. I have never missed a student loan payment and I have paid off $20,000 in credit card debt and a $10,000 car loan since graduation. I have no mortgage or any other outstanding debt, just my student loans. I have a credit score of 820. However, because of the usurious interest rates, capitalization of interest and the sole option of interest-only payments, I will never be able to pay off my student loan. It’s just not possible, unless I win the lottery." This comment by Debttired originally appeared in a thread on the CFPB's message board. "Unfortunately, (my daughter) picked a very expensive private school... We ended up going with CUstudentLoan. The interest rate was slightly higher (than Sallie Mae). We pay $25 per month while in school. I can get off the note 24 months after graduation and there is an 18% cap on interest, which is extremely high but the lowest I found. Many were 25%. These interest rates are extremely ridiculous and do not encourage higher education. My daughter will graduate in 2015 with about $80,000 in debt. Worse case scenario for me (is) two years of payments. (The loan payments are) going to be more than my mortgage." This comment by Jnsmith553 originally appeared in a thread on the CFPB's message board. "Being a single mom with three children and two disabilities, I have found the unworkability or flexibility, depending on how you look at it, with (private) student loans to be impossible bureaucracy at it's finest. If you consolidate (your loans), you're stuck and the interest rates are high. If you can't afford them, regardless of the documentation you show, it doesn't matter. When you call Sallie Mae, they claim to be workable, but in reality are not. If you default, it is nothing short of a harassment nightmare that needs legal representation to assist in the matter – (like) having to prove a closed school, nothing short of another nightmare in which the individual does all the work – even when you've gone to your (state) congressmen twice. ...Why are student loans, in this economy, not being looked at like mortgages-as some are as much as mortgage payments? Where is the humanity in any workability with student loans? There, simply put, isn't any." This comment by Laws65 originally appeared in a thread on the CFPB's message board. "I am a victim of a for-profit school that sold me a private student loan that I cannot afford to repay. I borrowed $60,000 to attend a culinary school–a school that has settled a class action lawsuit admitting that it lied to students about the value of the program and the statistics of the number of graduates getting employment in the culinary field. I was lied to about the terms of the private student loan. After completing the program, my first job in the culinary field paid $10 per hour. It took me three months to save enough money to make the first student loan payment of $1,300. I spoke to Sallie Mae. I wrote to Sallie Mae. But Sallie Mae would not refinance my debt with a reasonable interest rate or reasonable payments. They maintained my private loan balance at 19% variable interest rate and monthly payments of over $1,000 per month. I never made another payment. I could not afford to make a student loan payment because my choice each month was to either pay my rent or make a student loan payment. I spoke to a bankruptcy attorney as well as a CPA, and they both gave me the same answer: don't make any payments. ...That was in 2005. My private student loan, held by Sallie Mae, has been in default for sometime, and the balance due is nearly three times the amount that I borrowed. After working in the culinary field for almost two years, I was injured at work and became permanently disabled in 2007. Today, my credit rating is below poor and all of my debts from student loans to credit cards are in default, but I cannot file bankruptcy until Congress restores the ability to discharge student loan debt. Today, I am living on my social security disability income and have less than $4 left in my checking account until the next check arrives in about two weeks. Every day, I walk around the public areas of town collecting cans and bottles. I get groceries at the local food bank. I have sold or lost 99% of everything I ever owned. I need debt relief in order to even begin path to becoming a productive American. PLEASE HELP. Please help me start over by giving me an opportunity to get rid of my bad debt that I cannot repay. Please stop companies like Sallie Mae from victimizing helpless students who have been lied to by their schools and were given loans they could never afford."